Looking for Best Dentists in Mumbai for Dental Care? Call 9920984915. House Call Dental Services | Senior Citizen Discounts | Special 10% Discounts | Download Cost Comparison Chart – Now! As renowned dentists in Mumbai, this clinic has been treating a good number of patients complaining of toothache; particularly during or after a festive season. So the festival of colors requires you to be careful as some harmful elements may hurt your skin, teeth and eyes. Let’s find out what the experienced dentists in Mumbai recommend you to do to prevent such a wonderful occasion turn into a dental nightmare for you and your children. And Holi, also known as Basanta Utsava in many parts of the country, is no exception. While the rich and poor, women and men, young and elderly bask in the summer sun to enjoy each other’s presence, the fun filled atmosphere can turn spoilsport if your teeth are not taken care of. Especially when the yummy Puran Poli, a main delicacy is gobbled with gumption…and the loads of pappad, gujiya, jalebis, mathri, papri…thandai and cola. Why forget Colors made of harmful chemicals? Harsh colors, made nowadays, contain chemicals that can cause severe skin problems like allergies, breakouts and irritation. Imagine these getting into your mouth sneakily and lodging themselves in your teeth wedges. 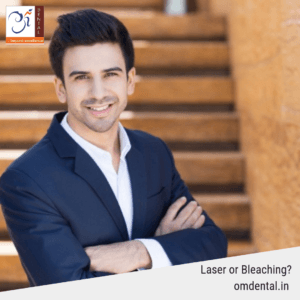 Says leading Dentist in Mumbai, Dr. Amit Berani, “…colors made today reportedly contain chemicals like silica or lead to give them extra depth or shine. Such elements may damage the enamel of your teeth.” So, best dental care during holi would be to AVOID HARSH colors. Clean your teeth after each sweet treat. Yes, this could be the most common sense thing to do. But surprisingly, for adults too, this is something that is least rigorously followed. Holi or any other festival season, making healthy fibrous foods a part of your diet is compulsory. And even though you might be tempted to fill your tummy with pappad, gujiya, jalebis, mathri, papri…and cola, they are high in sugar and can cause tooth decay. So if you are already having a history of toothache due to dental decay, it’s best to avoid the sweet stuff. Putting dental caps that can protect your teeth from chemical induced color stains. Though some of this might not affect your health, they might cause complications later on. And surely, you would not want to go to work or your school with mufti-colored teeth. Atleast, that has not become a fashionable thing to do till the time of writing this post!